This week Ron and Ed interview Doug Sleeter, founder of the Sleeter Group and self-professed blockchain-obsessed entrepreneur. Doug Sleeter (@dougsleeter) is a passionate leader of innovation and change in the small business accounting technology world. As a CPA firm veteran and former Apple Computer Evangelist, he has melded his two great passions (accounting and technology) to guide developers in the innovation of new products and to educate and lead accounting professionals who serve small businesses. Doug has been named one of the “Top 25 Thought Leaders” by CPA Practice Advisor for several years, as well as one of Accounting Today’s “Top 100 Most Influential People in Accounting” from 2008 through 2015. He was recently awarded the Small Business Influencer Champion award. Doug is the founder of the Sleeter Group, an active member of the Accountex Leadership Council, author of numerous books, and writes regular columns for the Sleeter Report and CPA Practice Advisor. Doug and his family live in Pleasanton, CA. Bill Gates observed that we overestimated technology’s short-term impact, and under-estimate its long-term impact. 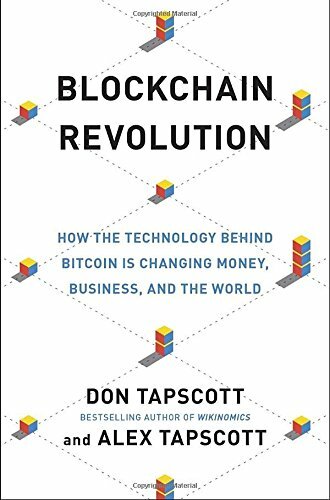 The Blockchain has been labeled “The Trust Protocol,” by Don and Alex Tapscott. Other labels include, the World Wide Ledger of value, and a public (distributed) ledger, or distributed (decentralized) database. The Economist labeled Blockchain “The Trust Machine”—trust the math, not the people (“in math we trust”). Either way, Blockchain is a Meta Technology—that is, it affects other technologies. It is not a process improvement technology—it is a disruptive technology. It could track anything to do with following (ATOMIC): Assets, Trust, Ownership, Money, Identity, Contracts. For example, it could record birth and death certificates, marriage licenses, deeds and titles of ownership, educational degrees, financial accounts, medical & criminal records, insurance claims, voting rolls, provenance of food, and anything else that can be expressed in code. The World’s first blockchain-recorded wedding took place at Walt Disney World, Florida, in August 2014. Blockchain holds institutions more accountable for their actions. Imagine if you could track each dollar you gave to the Red Cross from its starting point on your smart phone to the person it benefited. George Gilder thinks the blockchain is the eighth layer of the Internet—a trust and transactions layer. Today, companies record a debit and credit with each transaction—two entries, hence double-entry accounting. They could easily add a third entry to the World Wide Ledger, instantly accessible to those who need to see it—the company’s shareholders, auditors, or regulators. The largest flow of funds into the developing world is not foreign aid or direct foreign investment. Rather, remittance money repatriated to poor countries from their diasporas living abroad. Abra and other companies are building payment networks using the blockchain. In effect, this turns every user into a teller. Wiring money via Bitcoin (or other cryptocurrency) takes approximately one hour vs. a week—at a cost of 2% versus 7%--compared to, say Western Union. It takes less time to ship an anvil to China than to wire money there! In The Mystery of Capital, economist Hernando de Soto posits that $10 trillion of dead capital is inaccessible to the poor (now estimated to be $20 trilliion). The poor don’t lack capital but rather the ability to monetize it. Blockchain holds the potential to bring five billion people into the global economy, change the relationship between the state and citizens—a powerful new platform for global prosperity and a guarantor of individual rights. Future, diffusion, growth of blockchain? Some say healthcare will be the area where blockchain technology expands most rapidly. In 2014, there were approximately 18.5 million software developers. As of 2016, 5,000 of those work in cryptocurrency and blockchain. Think of blockchain technology adoption as a freight train. The train may look like it’s moving slowly right now, however there’s an incredible amount of momentum building given the financial and intellectual capital jumping on board—the momentum and innovation will continue to unfold at a significant pace. In the future, people won’t talk about blockchains any more than they now talk about the lower level architecture that makes the Internet work. We’ll just use them every day without thinking about it. Their presence will be ubiquitous. Doug mentioned www.coinbase.com for Bitcoin, and Ed uses www.Xapo.com.